International Student Organization Brings Culture to Life with International Expo | Grand Central Magazine | Your Campus. Your Story. The President of the International Student Organization Mariam Saad expressed her feelings and expectations about ISO and the upcoming International Expo and Cultural Night. Saad believes ISO is an organization which makes people closer or they feel ISO is their second home. “ISO is a home away from home for international students. It’s their chance to be a part of the community of Mount Pleasant and CMU. They will experience leadership, fun and gain more knowledge about different skills that they need for their academic and professional growth,” Saad said. Saad says the International students Expo is a fun and special event for all students. “Expo is a multicultural and entertaining virtual tour around the world,” Saad says. It opens their eyes to cultures other than they own in a unique way. Saad feels optimistic about the International Students Expo event and she wishes to make it successful for all international students. One of Saad’s biggest hopes regarding the upcoming event is the attendance to make the event successful. 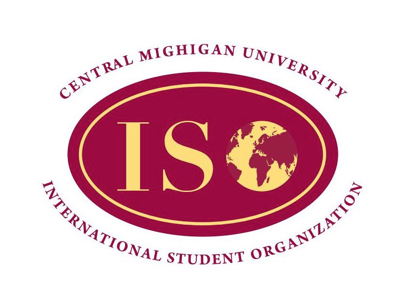 ISO’s International Expo takes place today, Feb. 18 from 4 p.m. to 8 p.m. in Finch Fieldhouse. Separator image Posted in Events, Student Lifestyle, Students and tagged with Campus Life, Faisal Alkarzai, International Student Organization, Student Lifestyle.